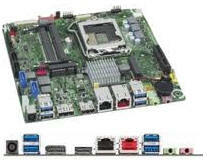 The new Intel Desktop Board D510MO This new chipset layout reduces the package footprint by 70 percent, enabling easier routing and better heat flow. 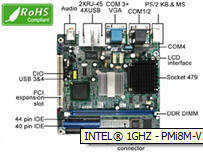 The Intel® NM10 Express Chipset also provides additional flexibility and upgradability with two slots of single channel DDR2 memory at 800/667 MHz supporting up to 4GBπ maximum. 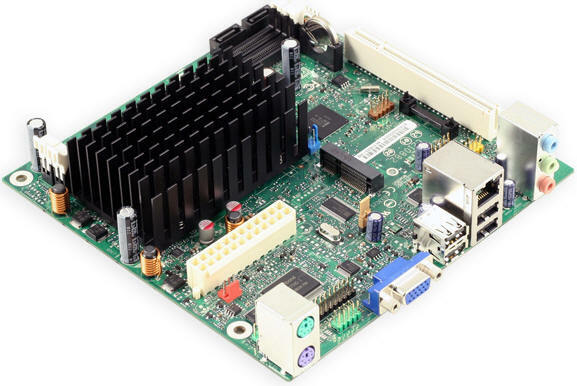 With breakthrough low-power silicon, the Intel Desktop Board D510MO can be used with a passive thermal solution based on the recommended boundary conditions. The Intel Desktop Board D510MO represents a fundamental shift in system design—small, yet powerful enough to enable a big Internet experience for all audiences.